Janet Baldock asks What on earth took you so long to put pen to paper? Roberta Rich replies I have thought exactly the same thing more times than I can count. Why didn’t I start writing full time in my twenties, damn it?! But the fact is that when I was young, I was going to law school and raising a child, and then running a law practice and that was what I wanted to be doing. I like to reinvent myself about every 20 years and so when I sold my law practice, I decided it was time to pursue my true passion — writing. Doriana Bisegna asks When did you know that Constantinople would become the setting for your second novel? Did you already know this as you were writing your first? 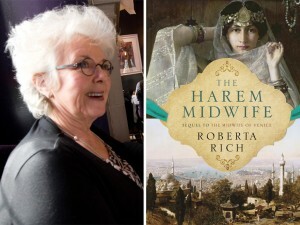 Roberta Rich replies I wrote The Midwife of Venice because I loved the setting and was entranced by the idea of a midwife who had invented an early form of forceps. I had no expectation that my novel would ever be published, let alone that there would be a demand for a sequel. Kelsey Rolfe asks What drew you to write about this particular time period? Roberta Rich replies I selected the 16th century rather arbitrarily. I didn’t really know much about Venice period. But I wanted an era when the Ghetto was still thriving. When I read that there had been a particularly devastating plague in 1579 I honed in on that year so that I could incorporate the plague as part of the plot. Jennifer Camwell asks Animals often appear in the story to heighten foreboding — such as with the doves, cat and rooster. How did you decide on using the hoot of the owl? Roberta Rich replies During the winter my husband and I live in Colima, the capital of a little agricultural state in Mexico famous for its volcano, lime production and bird life. Nocturnal noises are different here than at home in Vancouver. Most nights a forlorn-sounding little barn owl wakes me up just about the time that the 3:40 a.m. freight train from Manzanillo to Colima rushes through. I lie in bed and listen to both of these sounds and think the world is a pretty good place. But this year, I am dismayed to report, I haven’t heard the owl’s brave hoot. I wonder if he is still alive. Yoelit Lipinsky asks What inspired you to look at this period of Jewish history? 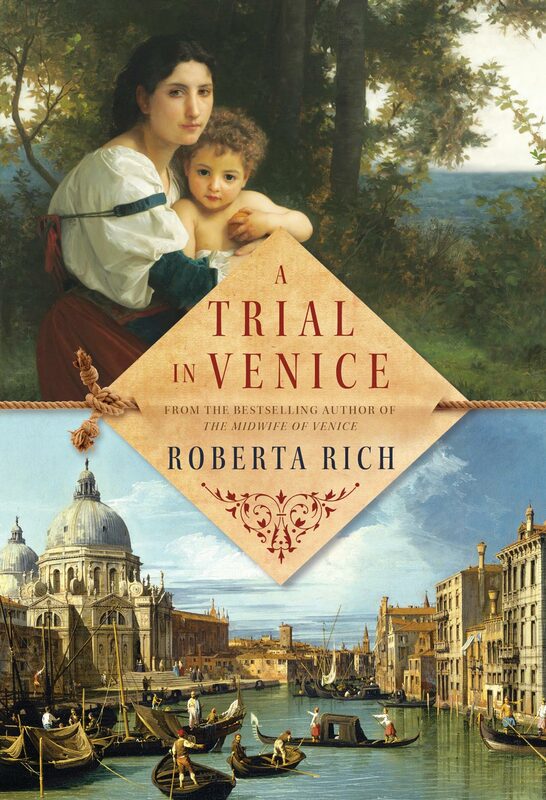 Roberta Rich replies When I returned from a trip to Venice in 2007, I looked high and low for a historical novel that would give me an idea of what life had been like in the Venetian Ghetto during its heyday. When I couldn’t find such a book, I wrote The Midwife of Venice. Jane MacLean asks 16th century Constantinople was a mysterious, exotic place. Life in the sultan’s harem was shrouded in secrecy. How did you create such a sumptuous background for the novel? Roberta Rich replies I love doing research, which is fortunate because you can’t really be a historical novelist without loving to hang around libraries and read everything you can on a subject. Unfortunately, there are no memoirs or diaries left by women of the harem, at least not from the 16th century. There are, however, a number of good secondary sources that give a pretty fair idea of what day-to-day life must have been like. We asked you: If you could live in any historical time period, when would you choose?